Watch the video to learn about Dr. Sajjadian and his practice. 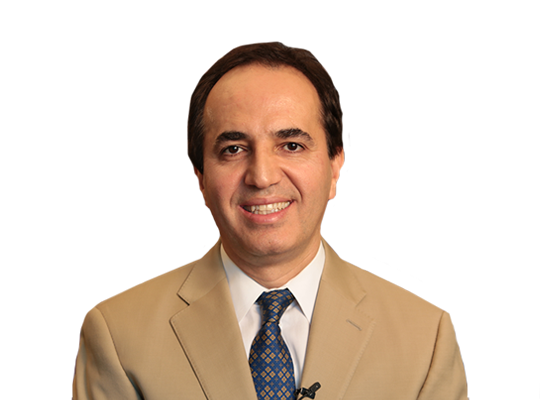 Dr. Ali Sajjadian is one of only a few Triple-Board Certified Plastic Surgeons in the United States, certified by the American Board of Plastic Surgery, the American Board of Otolaryngology - Head and Neck Surgery as well as the American Board of Facial Plastic and Reconstructive Surgery. The immense training he has received and his expertise in various forms of surgery has enabled him to perform all facial, aesthetic and reconstructive procedures to the highest standard. Dr. Sajjadian earned his medical degree from Drexel University, MCP-HU School of Medicine in Philadelphia and continued his education with a residency in advanced general surgery as well as head and neck surgery at Temple University School of Medicine. Dr. Sajjadian continued his education by pursuing a residency in advanced training in plastic and reconstructive surgery at the University of Pittsburgh Medical Center. Dr. Sajjadian went on to pursue an additional year of fellowship training at the University of Pittsburg Medical Center, sponsored by the American Academy of Facial Plastic Surgery. Dr. Sajjadian went on to become an Assistant Professor at the University of Pittsburgh Medical Center. Dr. Sajjadian is an esteemed member of numerous prestigious professional medical organizations, including the elite Rhinoplasty Society, American Society of Aesthetic Plastic Surgery and The American Board of Plastic Surgery. Dr. Sajjadian is renowned in the field of Plastic Surgery, and through a vast amount of fellowship training, he is a leader in state-of-the-art techniques in cosmetic and reconstructive procedures. Dr. Sajjadian has been asked to join the ranks of America's Top Physicians in 2007, 2008 and 2009, and is considered one of the top Plastic Surgeons in the country. His extensive amount of expertise has led him to author over 75 book chapters, manuscripts, abstracts and presentations on plastic surgery topics, and Dr. Sajjadian has lectured on various techniques both on a national and international level. Are you a patient of Dr. Ali Sajjadian? Login to your Who Is Who account and share your experience with Dr. Ali Sajjadian. It takes seconds to register. Start your FREE account today and share your expereince with Dr. Ali Sajjadian.